Fourth member of I.D. family is an SUV. Volkswagen unveiled an edgier version of its I.D.-based SUV, I.D. Crozz II, at the Frankfurt Motor Show, proclaiming it will be the fourth member of the “I.D.” family, hitting showrooms in 2020. It made its debut at the Shanghai Motor Show in April. The I.D. Crozz will be a four-door SUV featuring all-wheel drive and, of course, zero emissions. It shares its EV architecture with the three other members of the I.D. family, according to VW. The new Crozz will travel more than 300 miles on a single charge, employ a fully digital display and offer autonomous driving capabilities. 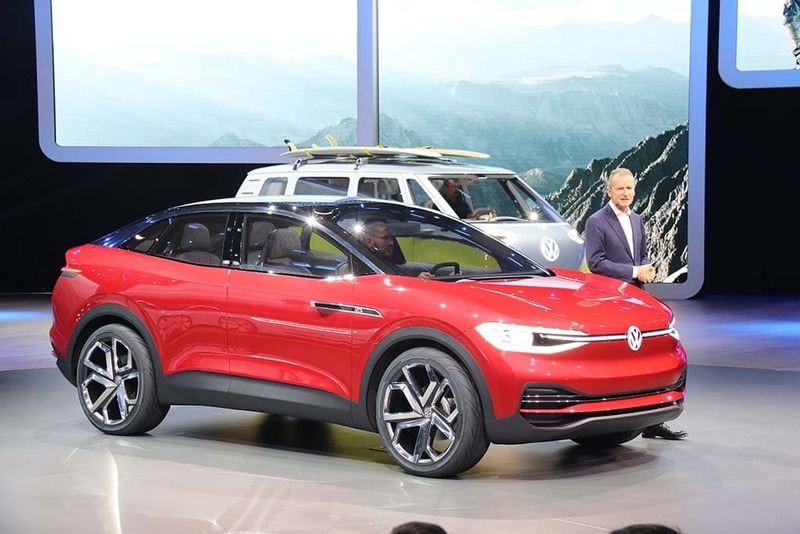 The Frankfurt model will more closely resemble the final product, with distinctive exterior than the previous concept, aimed at making it look more like a rugged sport-ute than a crossover. Lending to that masculine look are 21-inch wheels and uniquely sculpted LED headlamps. Not only does it look more like an SUV, it’s designed to act like one too. 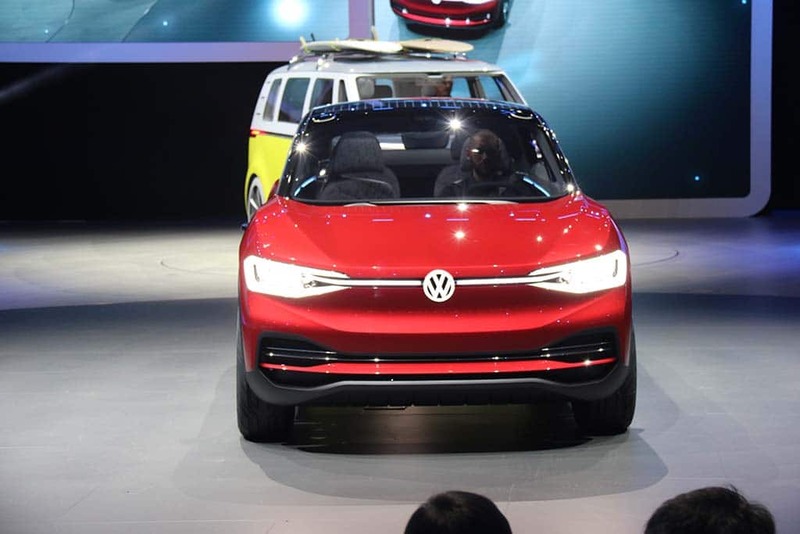 It uses VW’s 4Motion with an “electric propshaft” to control torque distribution. It puts out 225 kW of power and a top speed of more than 110 mph. It can get an 80% charge in 30 minutes when connected to a fast charger. The new I.D. Crozz is one of four models in the I.D. family coming in 2020. While it is an SUV, it does enjoy some niceities. I.D. Crozz is equipped with a new type of voice interaction functionality. The doors can be opened or closed by voice command, for instance. Similarly, the driver can use a voice command to activate or deactivate the fully automated “I.D. Pilot” mode. The interior – the “Open Space” – has also been refurnished and further developed with its four variable individual seats upholstered in Alcantara and a modified instrument panel. The digital dashboard can be modified to meet the tastes of the driver. Additionally, the infotainment system in the center console is controlled by a large 10.2-inch tablet. Its layout can be personalized using four different function tiles, such as Messages, Media, Telephone and Navigation. The housing and screen merge near seamlessly. A new feature here is the “CleanAir” menu, from which information on air quality can be accessed and preconfigured climate settings are activated. Also new aboard the I.D. Crozz are five “Smart Lights.” These ‘intelligent light strips’ are located on the sides in the door control modules (door panels) and directly in front of the driver. These are interactive, slender LED elements. The Smart Lights in the door panels become active as soon as the driver or one of the passengers starts voice control to open or close one of the doors – a visually supportive element that shows the activation of voice control and the function that is being started with it. At the same time, this Smart Light assists the driver by giving visual cues in the form of interactive light signals – in navigation and in hazardous situations, for instance. If the driver needs to turn right, for example, the Smart Light makes a corresponding movement in this direction. No pricing or expected sales figures were released. This entry was posted on Monday, September 11th, 2017 at and is filed under Automobiles. You can follow any responses to this entry through the RSS 2.0 feed. Both comments and pings are currently closed.